If you work in the Wellsboro area then we will come to your work, pick the vehicle up and bring it to our shop... do the needed repair services and deliver the car back to your work site at no cost. You don't even have to lose any time from work for this service. When you get off work your car will be there waiting for you right where you left it. Or simply drop your car off at our garage... anytime 24-7. Not only do our services save the time in your day that it would take to go to the lube shop, we also save you money by providing our services at great, low rates! 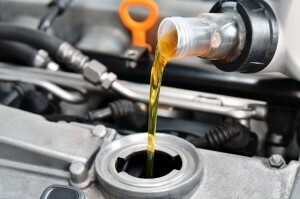 Make sure to have your car oil changed on a regular basis. This will prevent costly damage to your engine and keep it running smoothly. The engine oil serves as a protective barrier from rust, dirt, unburned fuel and other elements.